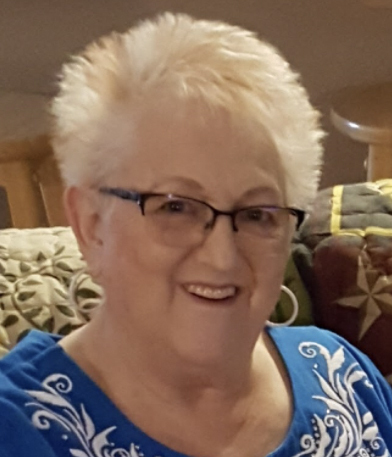 Lorna Jensen Dickerson, our beloved wife, mother, grandmother, great-grandmother, and friend, returned to our Heavenly Father on April 8, 2019 in Ogden, Utah. Lorna was born on June 1st, 1944 in Redmond, Utah to Byron and Vera Jensen. She always said she had a wonderful childhood! After graduation she moved to Salt Lake City and began working at Hercules Powder Company. She met the love of her life, Harv Dickerson, “dragging” State Street. She attended one term at Utah State University, but her heart was in Salt Lake with him. They were married February 19, 1966 in her home in Redmond—later solemnized in the Salt Lake Temple. Lorna was loved by everyone, everywhere she went! She was vivacious, positive, and had an infectious smile and laugh. She loved people and had an incredible way of connecting with others and getting people together. She loved music and had a beautiful voice, which she shared with others, including doing singing telegrams! Her children called her a “walking jukebox.” Her passion was scrapbooking and preserving memories through photos and journaling. Lorna loved her Savior, Jesus Christ, and served in many capacities within her church. She shared her testimony often through word and song. Lorna loved to be with her family most of all. Lorna is survived by her husband of 53 years, their four children: Corie Condon (Butch), Aneisa Phelps (Derk), Patrick (Camille), Lonnie (Marisol); 14 grandchildren, 4 great-grandchildren, and brother Dennis Jensen. Preceded in death by her parents, parents-in-law, and sister. A celebration of Lorna’s life will be held on Saturday, April 13, 2019 at 11 AM at the Pleasant Valley Stake Center 5640 S. 850 E., Ogden, Utah. Friends may visit family Friday from 6 to 8 p.m. at Lindquist’s Layton Mortuary, 1867 No. Fairfield Road and Saturday from 9:30 to 10:30 a.m. at the church. Interment, Lindquist’s Memorial Park at Layton, 1867 No. Fairfield Road. Lorna’s family would like to thank the caregivers in the ICU at McKay Dee Hospital for the loving care they rendered to both Lorna and her family, as well as the Liver Transplant Team at Intermountain Medical Center in Murray.